You are here: NECAOnline.com » Licenses » Movies » Alien » Behind the Scenes: Alien 35th Anniversary Nostromo Spacesuit! Alien celebrates 35 years in 2014! Time flies when you’ve got acid for blood. 2014 will mark the 35th anniversary of Ridley Scott’s claustrophobic sci-fi/horror epic Alien, which launched one of the most successful franchises ever in the genre. The movie played off classic ideas of being hunted by an unknown, seemingly invincible terror, but aboard the USCSS Nostromo, the terror had an entirely new edge. There was nowhere to run. Over the next few months, we’ll be updating with more on how we’re celebrating Alien turning 35 (doesn’t look a day over 29), but as a precursor, Randy tweeted an exclusive behind-the-scenes look at an early sculpt of a Nostromo Spacesuit figure that got an awesome response. 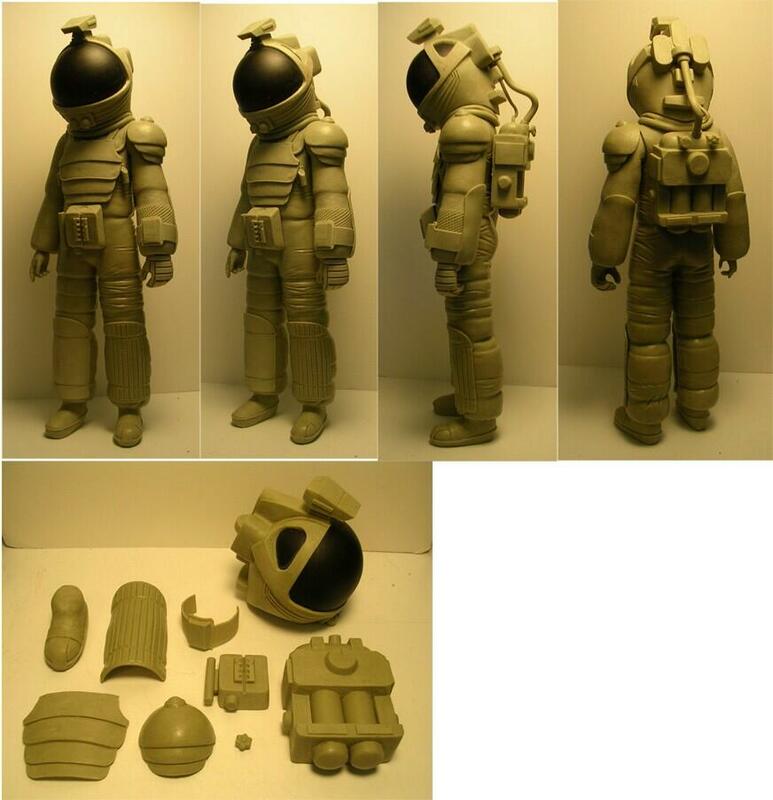 Again, this is just the earliest, first peak we’re getting, so some things about the sculpt or design might change by the time 2014 rolls around and the finished product hits shelves. The good news is we’ll be updating this post with more on the Nostromo Spacesuit as it gets revealed, so stay tuned right here for more to come! Keep up with NECA and get exclusive behind-the-scenes looks and contests on Twitter and Facebook!